Raumfahrt+Astronomie-Blog von CENAP - Blog: Raumfahrt-Politik - Kehrt der Kalte Krieg im Weltraum zurück? While trouble brews with Moscow over Snowden and Syria, a curious aspect of domestic space policy threatens to undermine America's tough stance and makes supporting American entrepreneurship in space a national security priority. On Tuesday, Russian media reported that Moscow is "reconsidering the role of Russia's space industry in the American space exploration program." This is no idle threat. Russian cooperation is a very critical factor in America's space operations. Firstly, a Russian state-dominated firm, NPO Energomash, produces the RD-180 engines for America's Atlas V rocket. The Atlas V, operated by United Launch Alliance, a Boeing-Lockheed Martin joint venture, is the workhorse launch vehicle for NASA robotic missions and for U.S. military satellites. It is the only U.S. vehicle rated for the launch of nuclear powered spacecraft and has been a promising option for future U.S. manned spaceflights. Secondly, America's National Space Agency has been paying the Russian Federal Space Agency (Roscosmos) to ferry American astronauts to and from the International Space Station in its Soyuz capsules for years. With the demise of the space shuttle program, NASA has become dependent on Roscosmos and has made a further $424 million commitment to the Russians This ill-considered agreement extends our dependence on Putin's kleptocracy until at least 2017. Seeing America in such shabby circumstances should serve to remind both liberal and conservative free-trade advocates that there are strategic national capabilities that must never be outsourced to potential adversaries, even for the sake of capturing global market efficiencies. America needs a viable, multivendor commercial space launch industry with a diversified domestic supply chain and we need it now. This ongoing affront to our national honor is developing into a clear and present threat to our national security. Sadly, the cause of this problem is not a technical one; America has the technology to best the Russians or anyone in space. This problem has been created by old-fashioned, pork barrel politics. Following the recommendations of the Augustine Commission the White House wisely supported NASA's Commercial Crew Integrated Capability (CCiCap formerly CCDev) program. CCiCap is the current version of the competitive, "funded Space Act Agreements." These agreements are designed to spur "New Space" firms, like Elon Musk's Space Exploration Technologies (SpaceX), with payments tied to capability demonstrations. They've been hugely successful in restoring America's ability to resupply the International Space Station with cargo. Both SpaceX and Orbital Sciences Corporation have demonstrated private orbital launch systems. California based SpaceX now has a regular manifest of deliveries to and from the station. Oddly, while the White House has been a strong advocate for privatization in space, some Republican Senators and Members of Congress still envision America's future in space as looking more like the Postal Service or Amtrak. 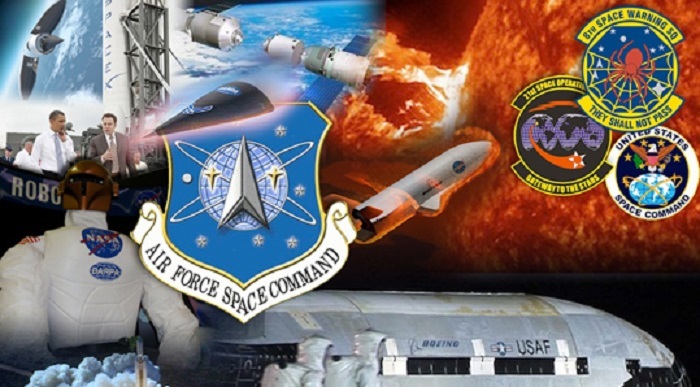 They've subverted CCiCap and its predecessors by diverting funding to an old school, nationalized space program known as the Space Launch System (SLS), designed to eventually carry astronauts to Mars or the asteroids. This giant launch vehicle is not well suited for primary the job at hand - delivering Americans to the ISS and satellites to Low Earth Orbit. More recently the Capitol Hill opponents of New Space have moved to force these entrepreneurial firms into the same Federal Acquisition Regulations (FAR) model that has corrupted big government aerospace projects for years. All of this delays America's return to space in a blatant effort to protect socialized space jobs in Alabama and Texas. Despite the ironic protestation of those who advocate continuation of government run space access, CCiCap is not "corporate welfare for Elon Musk." This funded Space Act Agreement is simply the latest incarnation of a successful string of federal initiatives that have established American national competitive advantage in strategic infrastructure over the last two centuries. The transcontinental railroad, the national air traffic control system, the national highway system and the Internet were all made possible by enlightened industrial policy. Such policies take into account what the private sector does well and what the appropriate role of government is in accelerating our national capabilities. Supporting the establishment of a competitive, commercial industry is always a better investment than building another government-operated boondoggle. To make matters worse, New Space firms are required to demonstrate capabilities far beyond those of their competitors or predecessors. For instance, under the requirements of the Human Certification Plan Review, SpaceX must prove its ability to use a Launch Escape System (LES) to safely separate the Dragon Capsule from the launch vehicle while inflight at "Max Q", the point at which the atmospheric stresses on the craft are at a peak. While Soyuz has survived a pad abort and a higher altitude abort, the Space Shuttle flew 135 operational missions without ever conducting a real test of that vehicle's dubious abort plan, unless you count the failure of the Challenger disaster. However, you can be sure that if next year's SpaceX abort test is in anyway less than perfect, the forces of socialized space will divert even more CCiCap money into their untested nationalized solution. If this were 1960s America, we would not be held hostage to the Russian threats. We'd bolt some seats into a SpaceX dragon capsule -- something SpaceX has done -- and show them our space program is not a bargaining chip. Tuning down our risk aversion and fully funding CCiCap is the very least that Congress and NASA should do. Greg Autry is as an Adjunct Professor of Entrepreneurship with The Lloyd Greif Center for Entrepreneurial Studies at the Marshall School of Business at the University of Southern California. He serves as Senior Economist with the American Jobs Alliance and the Coalition for a Prosperous America. His research context is New Space and he is currently researching "National Competitive Advantage in Manned Orbital Spaceflight" for the FAA Office of Commercial Space Transport as a consultant for the Futron Corporation.